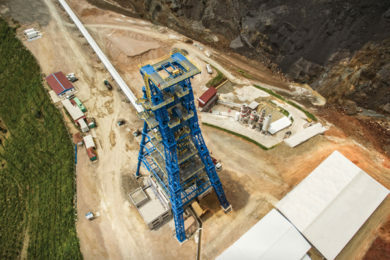 Ivanhoe Mines’ flagship Kamoa-Kakula project is situated 25 km west of the provincial capital Kolwezi, in the Lualaba Province of Democratic Republic of Congo (DRC). It has been independently ranked as the world’s largest undeveloped, high-grade copper discovery, with the Kamoa copper deposit discovered in the 2008, followed by the high-grade Kakula deposit in 2015. During this exploratory phase there has been significant movement of people and supplies across the sites and the regional base in Kolwezi. The state of the DRC’s roads posed a significant risk to their contractors, geologists and administrative staff as they travelled between sites during the exploration process. Potholes as big as three metres in size, lack of maintenance and the remote location of many of the roads were just some of the factors that meant a journey that would normally take a few hours, could take several days. Dust clouds obscuring the driver’s vision meant that there was a greater likelihood of accidents occurring, and damage was often done to vehicles by gravel kicked up by other vehicles. The unpaved roads were also very susceptible to flooding and thick mud during the rainy season, which could cause further issues for drivers, who often needed towing assistance. Access to the site is through unmade roads to the villages of Kasekelesa and Musokantanda, which meant that ensuring the safety of their inhabitants, who were suddenly confronted with more traffic became a priority. 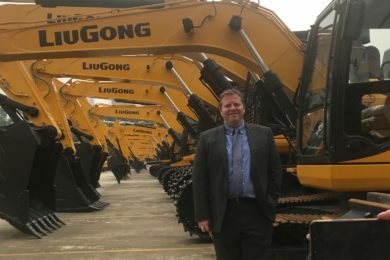 The fleet managers also had no idea where their 30 off-road vehicles, trucks and ambulances were at any given time, leading to concerns around security. To compound matters, terrestrial connectivity outside of urban areas was patchy and unable to properly support any type of fleet management application in the region. With the need to understand where vehicles are and how quickly they are moving and to ensure safety and security, Ivanhoe Mines turned to Inmarsat, the leading provider of global mobile satellite solutions. Inmarsat utilised the Skywave IDP-780, powered by its highly reliable L-band connectivity service, to enable a mission critical telemetry solution for tracking assets. The solution allows the control centre to visualise the vehicles and includes a number of geofences set up to enforce policies introduced by Ivanhoe Mines to improve driver and public safety and security. Reports are automated at night so that managers can cross-check inventories to see that assets are where they should be. 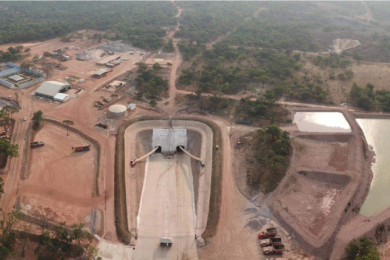 Inmarsat’s satellite connectivity has been critical to the success of Ivanhoe’s Kamoa-Kakula driver safety project. The fleet management solution required consistent connectivity across the entire field of operations, large areas of which are not covered by cellular networks. Inmarsat therefore provided a dual satellite-cellular tracking device and fleet management solution, which utilises GSM connectivity where available and then switches seamlessly to Inmarsat’s satellite connectivity when required. 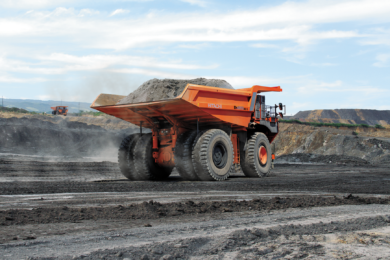 This provides a consistent and reliable communications network between control centre and vehicles, delivering real-time updates to Ivanhoe Mines on vehicle status and location, enabling the company to act to secure the safety and security of their staff and assets if necessary.